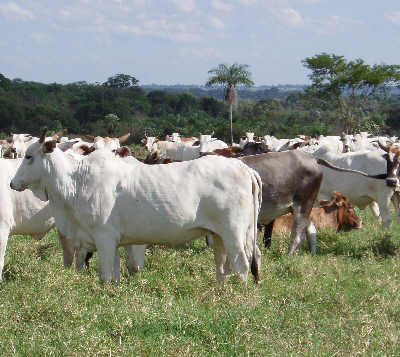 -	companies, as opposed to individuals, can buy farmland, too, but must register by name all their shareholders. Companies, which by nature, like pension funds, publically traded companies, can not name all their shareholders, can therefore usually not buy. In some prominent cases exceptional permit has been granted if deemed in national interest. 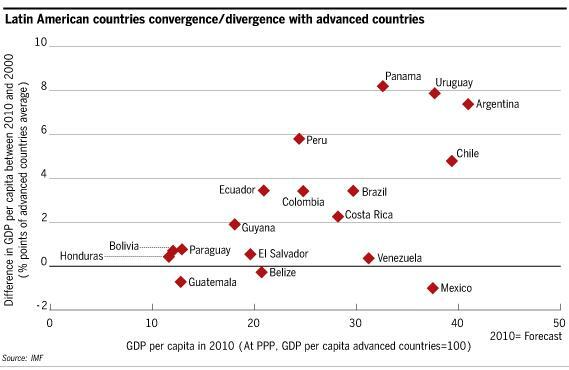 -	Uruguay taxes income (it was only introduced a few years ago), nationals on their world income, foreign legal residents on their territorial income (therefore excluding offshore income) rates naturally vary, 20% as rough figure might give an idea. The land is in most parts gently undulating with smaller streams never being far away ( and ground water at 10–50m depth ). 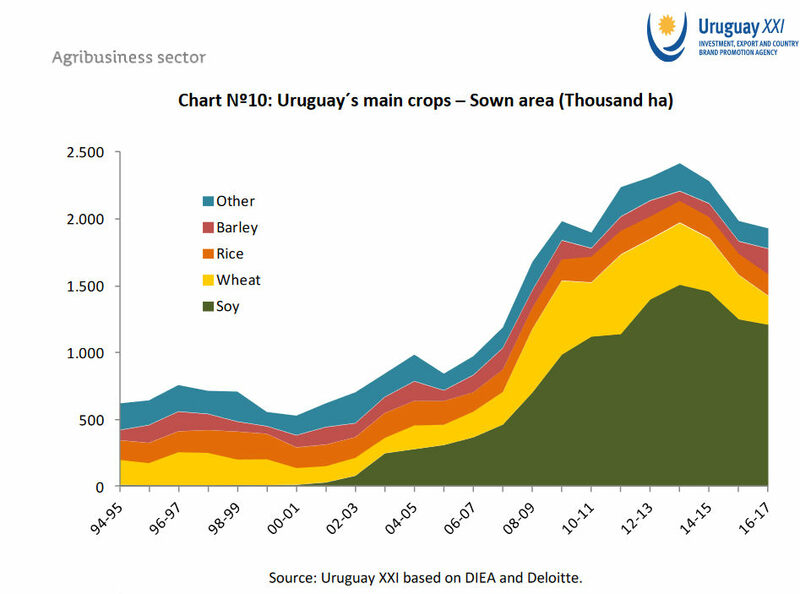 The two maps below serve well to indicate Uruguay’s agri pontial in global comparison because they take all major factors into account. 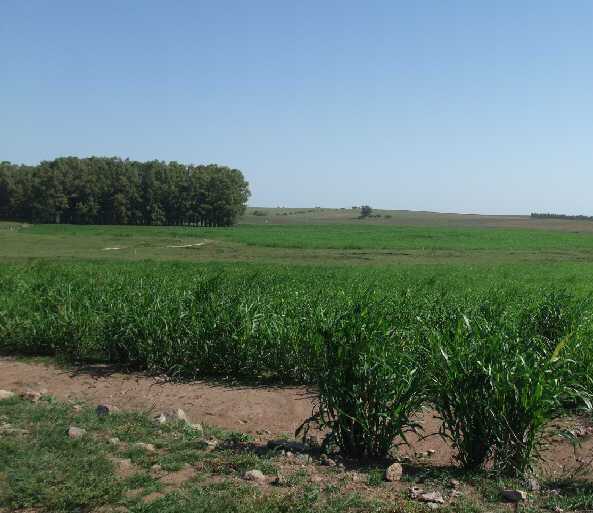 The most fertile soils are found in Uruguay's western/southwestern fringe. 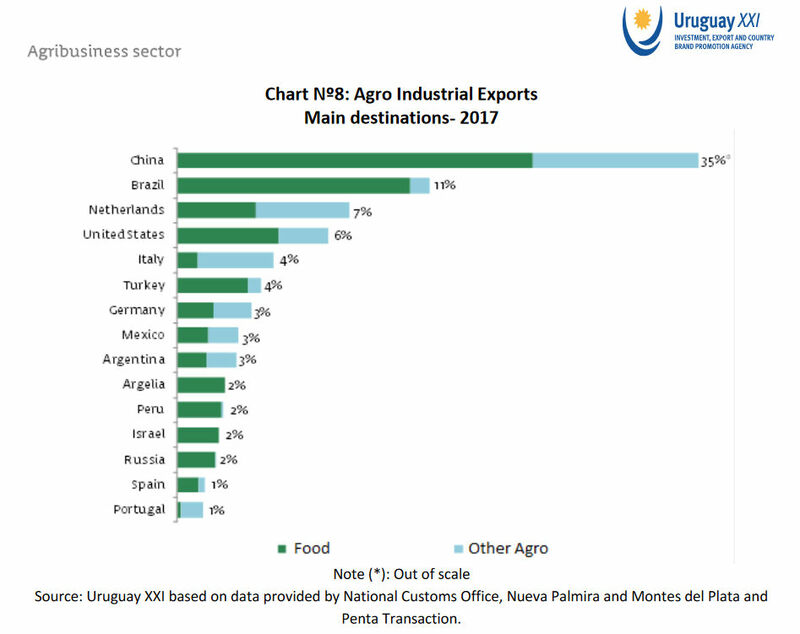 Germany's Lateinamerika Verein's December 2014 country report on Uruguay states that Uruguay with its 3 million people can feed 28 million people. That should be the best such ratio (population to food production potential) in the entire world, a world that has seen the ratio arable land per capita halve to 0,2 hectare over the last decades. 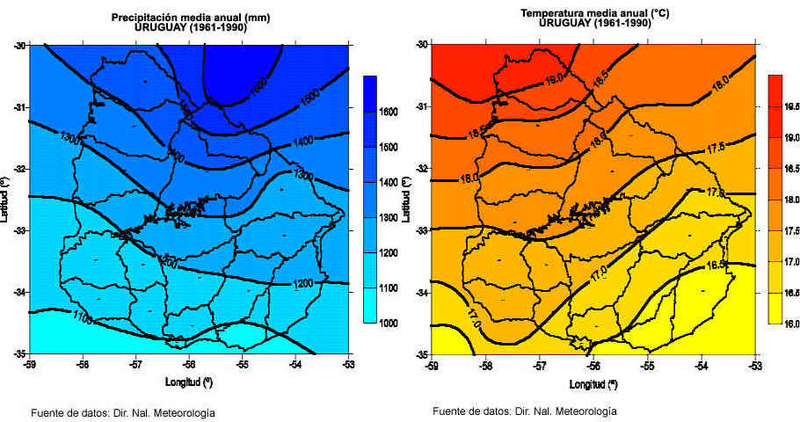 Projections mostly predict a milder temperature increase compared to other world regions, and slightly increasing annual rainfalls, so that the precipitation - evaporation balance of soil humidity should remain roughly unchanged, with slightly increased vegetation periods and hence slightly rising yields for crops like soya and corn (maize). 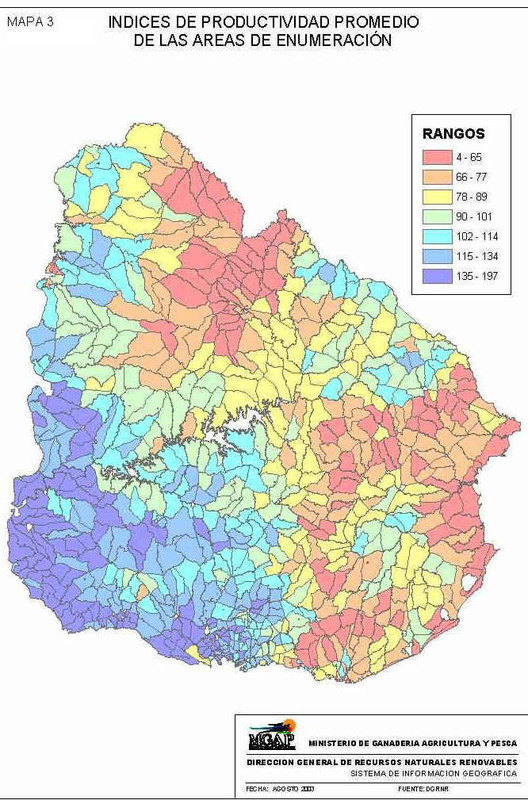 Rainfalls may on the other hand become more erratic, causing damage through droughts and run off. In total, the balance of effects for the next 40-50 years should be roughly neutral. 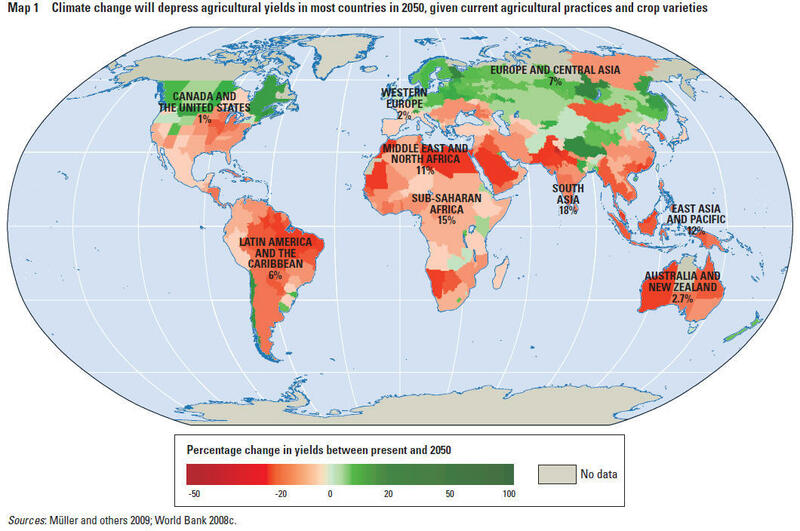 This 2010 World Bank publication map on estimated effects on yields in 2050 mainly confirms that high latitude regions will gain and most others will loose. 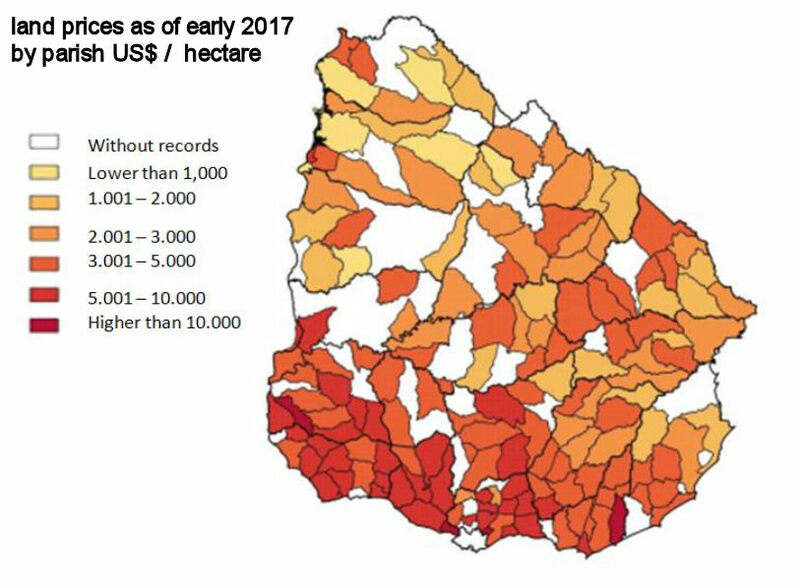 The map has its shortcomings, it does not differentiate within such climatically diverse countries as Argentina or Chile which will have their distinct gaining and loosing regions, but confirms the rather benign outlook for Uruguay. 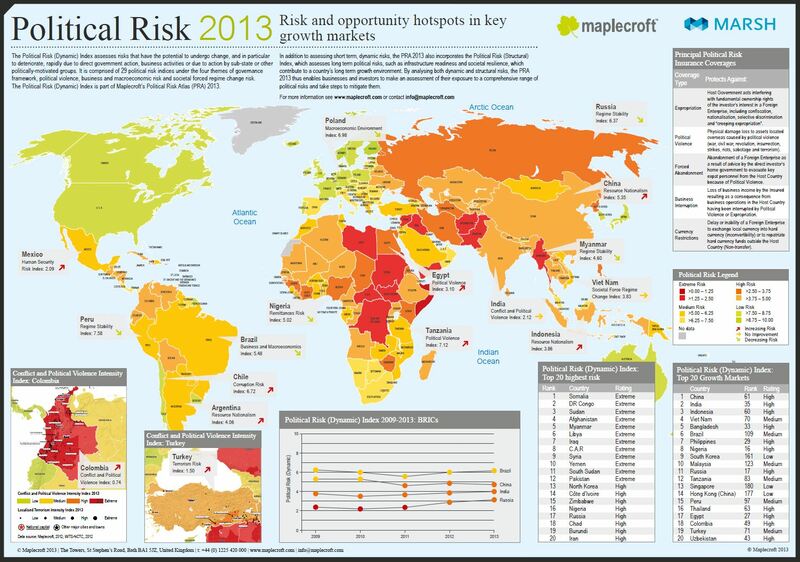 Marsh & Maplecroft, the economics intelligence providers, rate Uruguay as "Low Risk" as political country risk for foreign investors, for 2013 and again 2014. Of all countries of the Americas, it is a rating they only apply to the US, Canada, Chile and Uruguay. Disclaimer : Site content reflects the personal understanding of the matter by author. Author does not guarantee its correctness and may not be held liable for it.